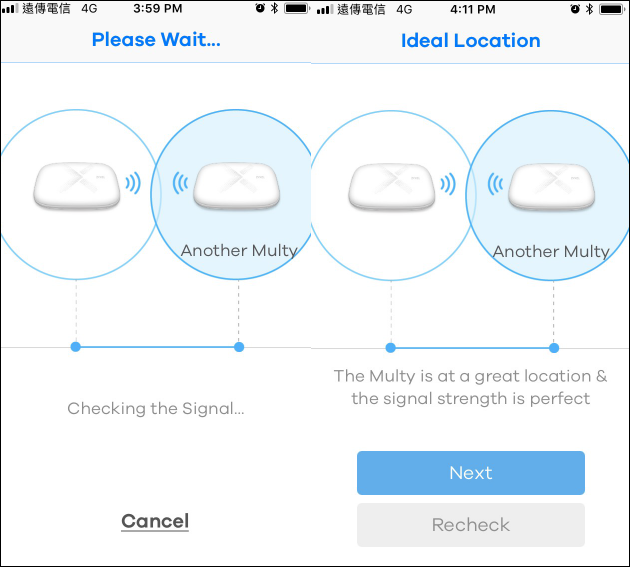 How to add the 3rd or 4th node via Multy App? 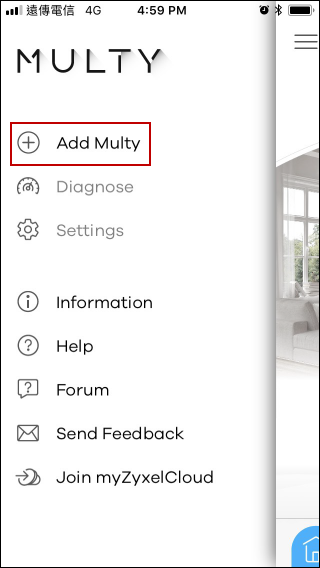 Step 3: Tap "Add Multy" in the menu list. Step 4: Follow the instructions shown on the screen to add the node and tap the "Start" and "Next" buttons to proceed to the next step. 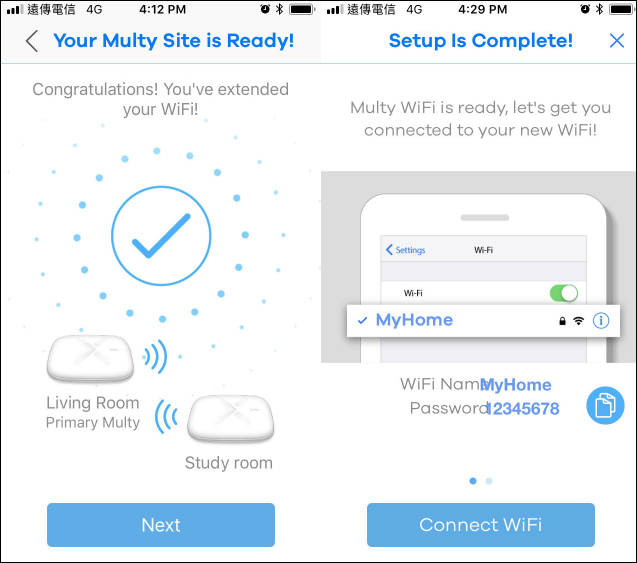 Step 5: The Multy App will find the node and add it to the WiFi system automatically. 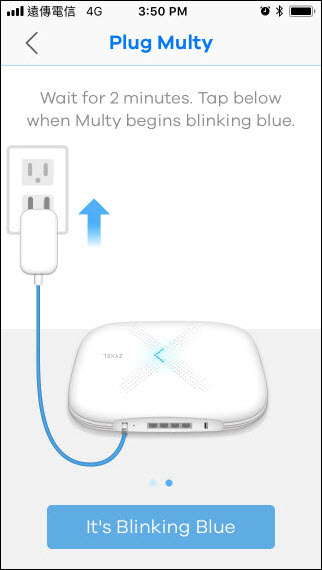 Plug the node and tap the It's Blinking Blue button when Multy begins blinking blue. 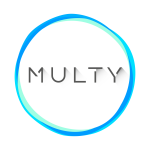 After Multy Network is created successfully, tap the Location Check button. Step 6: Find a good location for the node. App will display the signal result to show if the current location is good enough. 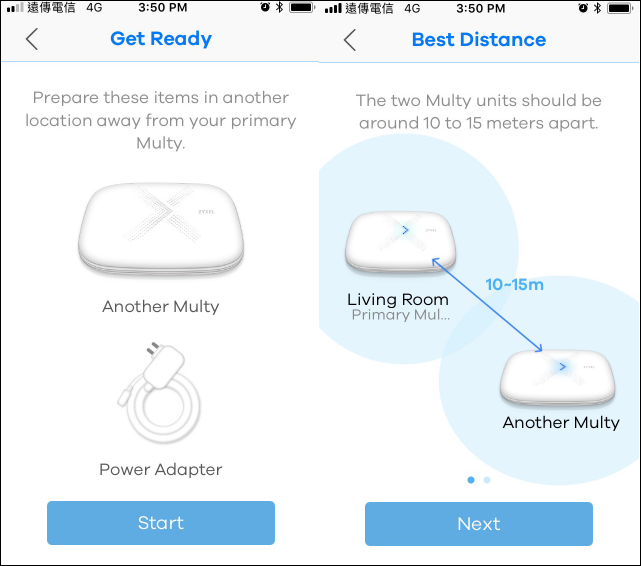 Tap the Next button to select a location name for the node or move the node to another place and tap the Recheck button to measure the signal strength again. Step 7:Select a location name for the node and tap the "Next" button. 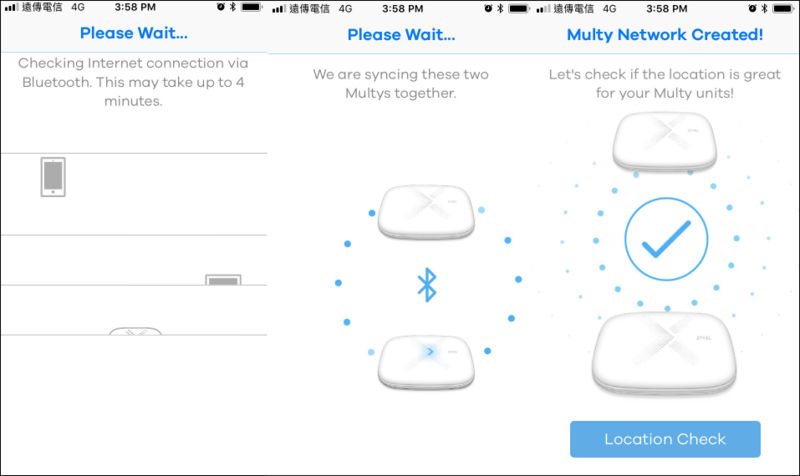 Step 8: Enjoy the Multy Plus network. 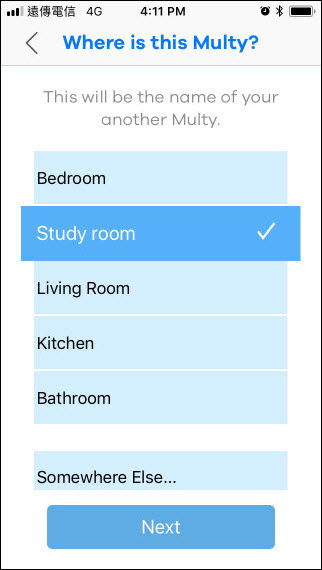 After installation is complete, tap the Next button. 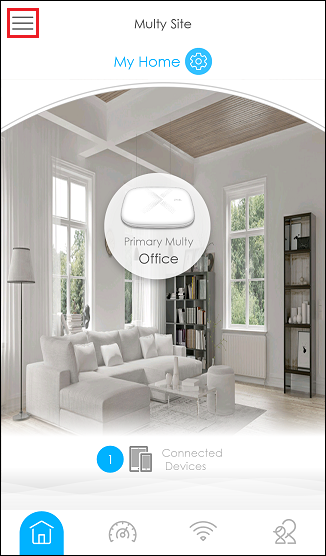 The Multy App will display your WiFi information. Please tap "X" and it will go back to the main page. Enjoy the new WiFi network!